I credit Robin Kinross for pointing out that one image from W.G. Sebald’s book Die Ringe des Saturn disappears when the book comes out in English as The Rings of Saturn. In an essay in his book Unjustified Texts (London: Hyphen Press, 2002) called Judging a Book by its Material Embodiment: A German-English Example (pp. 186-199), Kinross makes a close physical comparison of the German version (Frankfurt: Eichborn Verlag, 1995) and its British equivalent (London: Harvill, 1998). In doing so, he discovered that the first image in the German chapter 9 does not appear in the Harvill edition (nor does it appear in any later English-language edition). 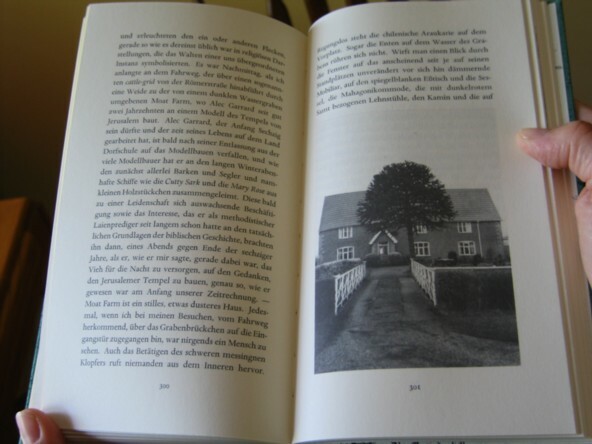 The image, which appears on page 301 of Die Ringe des Saturn, is a photograph of what seems to be a rural house and the drive that leads up to it. 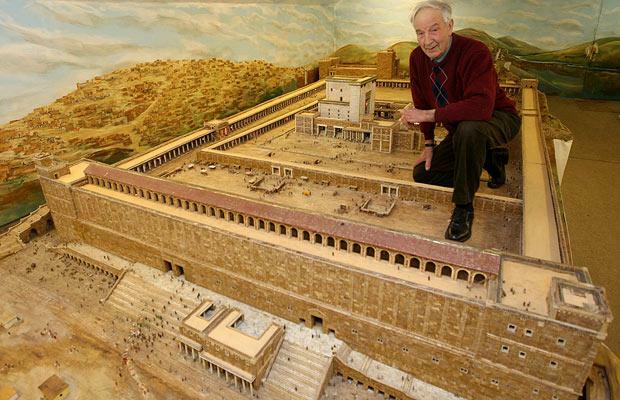 Given the placement in the text, my guess is that the house is supposed to be “Chestnut Tree Farm,” the home of “Thomas Abrams”, the one-time farmer who, when the narrator visits him, has devoted the last twenty years of his life to building a scale model of the Temple of Jerusalem. Perhaps the real Thomas Abrams, whose name is Alec Garrard, preferred not to have his Suffolk residence published. More on Alec Garrard in a subsequent post.